Hello my name is Frank Sterling. On the air I go by Freewilln Franklin. I am again running for the KPFA local station board. I was a local station board member in the past I served two, three year terms as a staff representative. I believe it was 2009 to 2015. I am again running at this time to try and help KPFA and the Pacifica network through these troubling times of debt and possible bankruptcy. I would like to help plan to get us out of debt and get our important loans paid off. would like to help the local station board and Pacifica through community connections and community broadcast such as the March for Climate Jobs and Justice and She the People. Including video streaming on KPFA. org, Which can be streamed real time throughout the network online, not disrupting regular programming. You can search Youtube “March for Climate Jobs and Justice KPFA” and you can see our video(s) I would like to work with the local station board to come up with solid ideas to share throughout the Pacifica Network to get us out of the danger of foreclosure and bankruptcy. And finally working to get a First Voice Apprenticeship Program throughout the network, which was in the original plan when created. I believe the station could better serve the listeners by becoming a bigger part of the activist community. When statewide or local action is happening in the Bay area we should be a part of it. Including the March for Climate Jobs and Justice, Rally Against Hate, Block the Boat, Berkeley Shellmound and other righteous causes.. I know we are bound legally by 501 C3 status, but we could be doing more, as of now we are far back on the blade nowhere near the cutting or even legal edge. o help increase KPFA and Pacifica’s influence in underrepresented communities and to help diversify our listening audience, we need to be out in those communities. When you are in those communities and sharing those voices people will listen, people will want to listen to their friends, to their family and the people around them. We can go to local high schools and broadcast from there.The Apprenticeship program has done that twice. We can go to local community centers and broadcast from there, or even just record there which we as apprentices do.. We have been at the Malcolm X Jazz Festival, The Eastlake Music Festival, the Himalayan Fair, Black Panther 40th and 50th anniversaries, Live Oak High school, Fred T. Korematsu Elementary School, Richmond Health fair, Antioch Resource fair and the list can go on.. Another example and a plan in the works at this time is, featuring independently owned business in the area surrounding kpfa. Coming up with new sources of funding in the Pacifica model can be tough. One thing I have brought up on several occasions in the chance to sell virtual tickets to kpfa events such as the speaker series. We could stream live the event and ask for a donation to watch online at home. The same price as an actual ticket. This will open up the chance for people who do not live in the immediate area to watch at home live. At the same time, people who may be local but for whatever reason can not make it to the venue. This could include seniors or people with travel issues or disabilities. I would also be for “discussing the possibility” of some sort of sponsorships of vetted green positive community organizations. We should be partnering with businesses local and national that are doing the work we cover and report on, on the air, like treating their workers with respect and equality as well as something that’s not harming our environment. Examples would be Red Bay Coffee or Mamacitas Cafe which was founded by two apprentices. On the air we should also have a $25 gift that is something I’ve been asking for and will again try to get. I have been working at KPFA since 2007. I an currently the Technical director for Full Circle. I started in the KPFA First Voice Apprenticeship Program. Upon my graduation in 2007 I was hired to be the Technical Director of Full Circle, the First Voice weekly show. 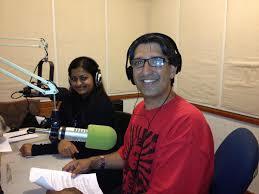 I have worked on or subbed for many shows on KPFA including the Sunday Show the Talkies and late night dj’s. I have also been a paid board operator. Another position I held was technical director for Flashpoints. And I occasionally fill in on that show when needed. I feel like I have a good view from 13 years on the inside of KPFA as well as the outside as an avid listener. I have helped contribute to many special broadcast on KPFA, the many I previously mentioned as well as the Block the Boat, both of the state climate rallies most recently which was the March for climate Jobs and Justice, both were video broadcast. I have been part of the Indigenous People’s Day and Thanksgiving Day broadcast on Alcatraz since 2008. I also contributed to the many broadcast that were held in Oscar Grant plaza during the occupy movement including both port shutdowns. I have connections to many community organizations throughout the Bay Area and out to the Inland areas of Contra Costa County including far east Co.Co. County, down to the Central Valley in KFCF land.